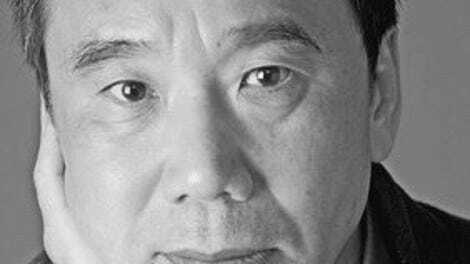 The unnamed narrator of Haruki Murakami’s new novel, Killing Commendatore, is a recently divorced painter. He resents the marvelous success he’s had as a portrait artist for the wealthy and wishes to use his newfound freedom to get back to his artistic roots. After accepting an invitation to live at the unoccupied house of revered Japanese painter Tomohiko Amada, he mostly sits around accomplishing nothing until the mysterious IT baron Wataru Menshiki commissions him for a portrait. Menshiki allows the narrator the artistic freedom to paint his portrait however abstractly or realistically he wants. This is a fruitful agreement that leaves both men satisfied with the final product and inspires the narrator, for a time, to do more work. Throughout Killing Commendatore, how the narrator navigates when he feels creative and inspired and how he goes about producing work he’s proud is the book’s central philosophical conflict. By the time Sunday rolled around, I had a pretty good idea how to attack the canvas… Those first steps—which brush to use, what color, the direction of the first stroke—had come to me out of nowhere; they had gained a foothold in my mind and, bit by bit, taken on a tangible reality of their own. I loved this process. The most relevant piece of information is not about the narrator’s artistic revelation, which is devoid of significance, but that it is Sunday, which means some time has passed since the close of the last chapter. If the point of Killing Commendatore is that artists and their processes are often utterly boring, then it is indeed a success, though it’d have been more effective and interesting to come out and say that. In general, these more grounded questions is not where Murakami, over his career, has found the bulk of his success. His most impressive works—Hard-Boiled Wonderland And The End Of The World, “Super-Frog Saves Tokyo” from After The Quake, the more inspired sections of The Wind-Up Bird Chronicle and 1Q84—often wrestle with the nature of consciousness and reality. Those books probe and challenge both their characters and readers and avoid didacticism or easy explanation. They also tend to be works of massive imagination, where neither Murakami nor his characters seem hamstrung by an assumed set of rules. The worlds of those works feel entirely their own. 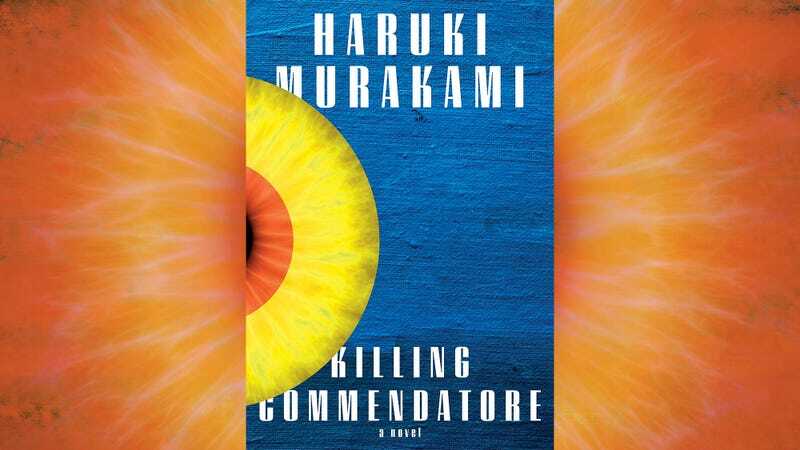 Killing Commendatore has so little of that particular energy, though Murakami does reach for the magical or otherwise unreal. Characters from an Amada painting called Killing Commendatore that the narrator discovers appear to him throughout. He’s the only one who can see them, and the book’s most exciting moments come from when they make him do something he otherwise wouldn’t. These sections are undercut, however, by the awful writing that populates them. One character, Long Face, insists over and over that he is a “Metaphor.” Metaphors are, apparently, here to help, but Double Metaphors “grab hold of your true thoughts and feelings and devour them one after another, fattening themselves… They have been dwelling in the depths of your psyche since ancient times.” This, like the description of the artistic process, feels empty. The language is menacing, but its tangible meaning is difficult to parse. “Show don’t tell” is an often unhelpful cliché, but reading Killing Commendatore is a reminder of why it is so prominent. It felt strange to see my little sister’s breasts grow by the day. Up till then she’d just been a little child, but now she’d suddenly had her first period, and her breasts were slowly starting to take shape. Later, the paragraph that elaborates on the circumstances of her death ends with, “Her developing breasts would never grow.” When another teenage girl enters the book, she and the narrator have an extended discussion about her breasts. There are a handful of adult women in the book, too, though they’re given almost nothing to do aside from sleeping with the men. This limited ability to write about women as though they are also people is a black spot on this book and Murakami’s career writ large. Still, there are a few fleeting bright spots in the book, moments that call to mind Murakami’s earlier, better work. About a third of the way in, the narrator recalls a time in his adolescence when he and his sister were exploring a cave. She finds her way into a hole that is too narrow for him to fit in, and she goes in further, exploring its depths. The narrator, who calls to her over and over without receiving a response, is worried that she has disappeared. At this point, the details of her death are already established. The narrator does lose her forever. All of the fear he feels in the time between when she descends and when she returns is compounded by the readers’ knowledge that, although the narrator’s devastation was avoided then, it would still come soon after. Murakami plays this tension perfectly. He just can’t do it for 700 pages.